Kevin Harvick started 12th and finished first. The Jimmy John’s Ford entered the top-five by lap 21 and was up to third by lap 33. Harvick reported that his Ford had goodbalance but lacked rear grip through the majority of the stage. The Jimmy John’s team made a scheduled, green-flag stop on lap 38 for four tires, fuel and adjustments and came out as the leader among the Championship 4. The 2014 NASCAR Cup Series champion took the race lead on lap 43 and kept it to capture his 19thstage win of the 2018 season. At the conclusion of Stage 1, the Jimmy John’s Ford came down pit road forfour tires, fuel, tape and air pressure adjustments. Harvick started first and finished second. The Freaky Fast crew started from the lead but dropped to third on the ensuing restart. Harvick regained the lead shortly after lap 105, but he pitted from the lead on lap 120 for four tires, fuel and adjustments. By lap 123, Harvick had worked his way up to second and was the top Championship 4 contender. The caution flag came out on lap 140, and Harvick reported a loose-handling condition as he pitted from the second spot. The Jimmy John’s driver regained the lead on lap 147, but he relinquished the top spot on the final lap of Stage 2 to Kyle Larson. Harvick started second and finished third. The Bakersfield, California, native took the lead on the first lap of the final stage but quickly dropped to third. The Jimmy John’s team serviced its Ford with four tires, fuel and tape during the lap-193 caution period, restarting fourth. Harvick gained one position on the restart, taking over the third spot. Interim crew chief Tony Gibson called Harvick to pit road for a scheduled pit service on lap 230, beginning the green-flag stop cycle. The caution flag was displayed on lap 249 before Harvick had the opportunity to cycle through to the lead, but the Jimmy John’s team pitted from the fourth position and restarted fourth on the following restart. Ultimately, Harvick finished the Ford EcoBoost 400 race – and the 2018 season – in the third position. You led a number of laps tonight. Just take us through your race, please. Kevin, you guys didn’t seem to be that happy with what you had yesterday after practice. What all went into it? When you got in the car and started to race, did you feel there had been a lot of big changes made? This was Harvick’s series-best 23rdtop-five and 29thtop-10 finish of 2018. 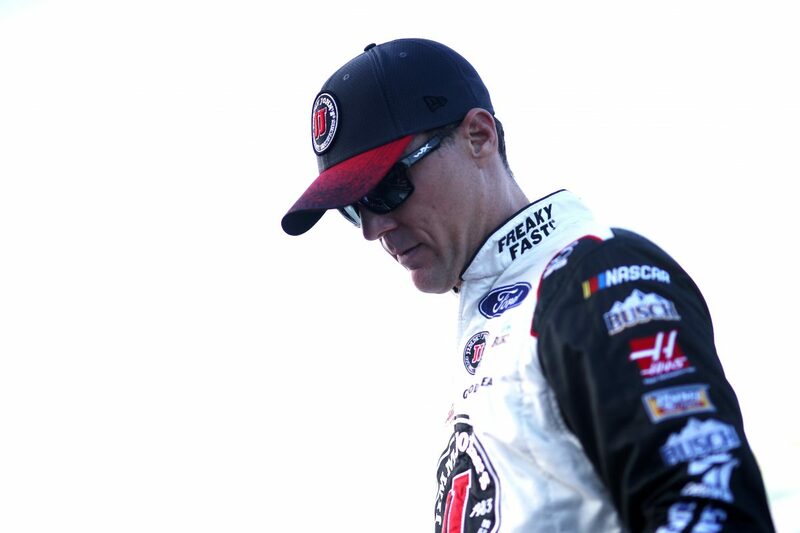 Harvick earned his 10thtop-five and 16thtop-10 in 18 career Monster Energy NASCAR Cup Series starts at Homestead. Harvick won Stage 1 and finished second in Stage 2. He ends 2018 with a series-best 19 stage wins. Harvick led five times for 58 laps to increase his laps-led total at Homestead to 373. Logano won the Ford EcoBoost 400 to score his 21stcareer Monster Energy NASCAR Cup Series victory, his third of the season and his first at Homestead. His margin of victory over second-place Martin Truex Jr. was 1.725 seconds. In winning the Ford EcoBoost 400, Logano won the 2018 Monster Energy NASCAR Cup Series championship for the first time in his career, outdueling fellow Championship 4 contenders Truex, Harvick and Kyle Busch. Logano’s victory delivered Ford its first manufacturers’ championship since 2002 and 16thoverall. Logano’s triumph marked the 108thpoints-paying victory for Ford’s Fusion in the Monster Energy NASCAR Cup Series. It was Ford’s 677th all-time win in the NASCAR Cup Series. There were five caution periods for a total of 26 laps. Only 18 of the 39 drivers in the Ford EcoBoost 400 finished on the lead lap. Harvick competed in the Championship 4 for the fourth time in the last five years. He won the championship in 2014. The 2019 season kicks off with the traditional Speedweeks at Daytona (Fla.) International Speedway. The 61stDaytona 500, the first points-paying race of the year, is Feb. 17 and will be broadcast live on FOX.